In the hopes of reducing the amount of sugar in your diet, you may have switched to "sugar free" options of some of your favorite foods and drinks. While this switch will likely reduce the number of calories that you consume, it doesn't necessarily mean that it is safer for your teeth. In fact, new research from the University of Melbourne has actually found that there is no major difference in the damage that sugar-free and sugar-loaded sodas, juices, and sports drinks cause to the teeth. Why Don't Sugar Free Options Help the Teeth? So, if sugar is bad for your teeth and you are consuming less sugar, why don't sugar free beverages make a difference in the health of your teeth? Much of this fact has to do with the acids found in these drinks, as they can be extremely damaging to the enamel. In fact, they are so damaging that they can make the fact that there is no sugar present almost irrelevant. 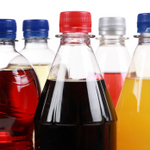 The acids in soda, juice, and other acidic beverages are extremely damaging to your teeth. They can cause the enamel that is intended to protect your teeth to wear away, making your teeth more susceptible to decay. These beverages are also bad news when it comes to keeping your teeth looking white and beautiful. If you want to protect your teeth, make sure that you are limiting your consumption of these sugar free foods and drinks, and if you do consume them, rinse your mouth out with water immediately after rather than brushing. Good oral hygiene is also important, meaning that you should brush twice per day and floss at least once. If you notice that your teeth have become yellow or are more sensitive than usual because of your diet, make sure you contact our office today to set up an appointment today.